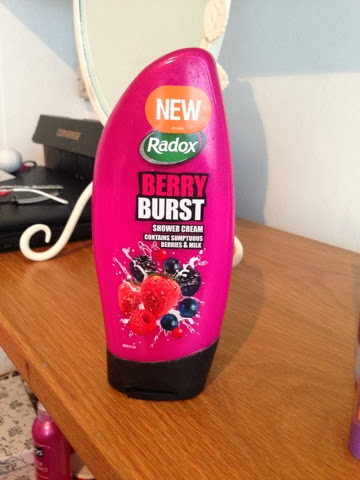 The first thing is the radox berry burst shower gel. I heard about this through one of Fleur's videos and when I was in the supermarket I'd thought I'd give it a go! Not going to lie but this shower gel is amazing, it smells of cherryade! I fell in love with it after the first use, you just want to keep sniffing it, it smells that yummy! 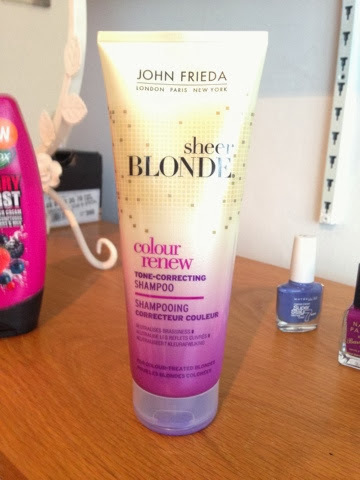 The next product is the John Frieda sheer blonde colour renew shampoo. If you've been following my blog, you'd know I recently had my hair ombréd. Therefore I thought I'd better go out and purchase a purple shampoo because it tones the colour and gets rid of the brassy tones. This shampoo works a treat, I noticed the change after the first use! It really helps being out the blonde even more! For the best results I would say use it up to 3 times a week to help your ombre stay blonde. For a little bonus it does have the nicest smell which lingers on the hair after use. 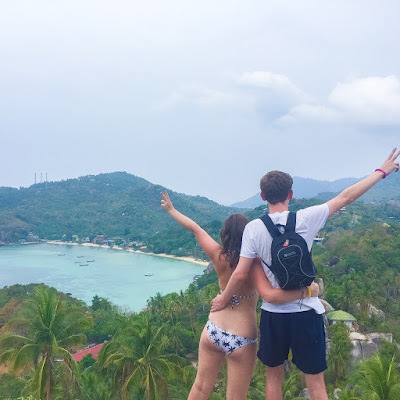 The shampoo cost around £6 which is a bit pricey for shampoo however in my opinion I say it's totally worth it, a definite recommend. The next product is baby lips by maybelline in peach kiss. 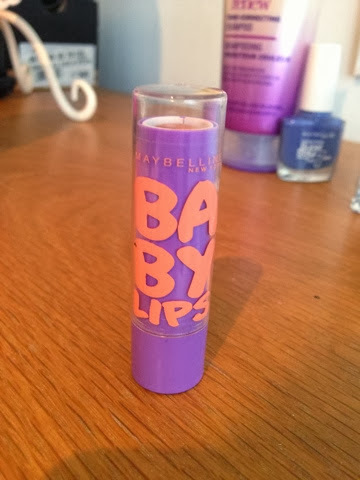 As you all probably know baby lips finally came to the uk the other month and I just had to get my hands on one! 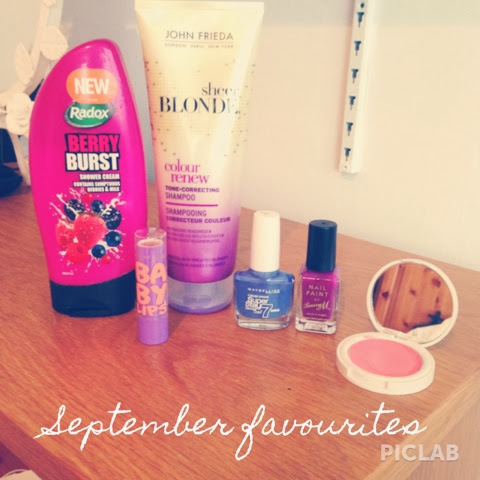 I chose peach kiss purely for the purple packaging as its my favourite colour! I'm not usually a fan of peach flavoured things, but the scent of this is lovely, very refreshing. The balm itself definitely lived up to expectations because it really moisturises the lips and makes them soft. I think baby lips was a huge essential this month because the weathers getting colder meaning lips get chapped etc. One of my favourite nail polishes of the month has to be the maybelline gel colours in surreal. It's a light pretty indigo colour. 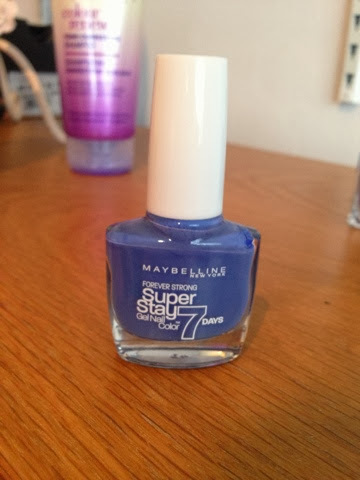 I was a little sceptical at first when it says lasting for 7 days as that's hard to find in a nail polish. However I was amazed after about 6/7 days there was only minor chips which I would usually expect after 3/4 days with other nail polishes. Which means by the end of the week my nails were still in good condition, very impressed I must say! 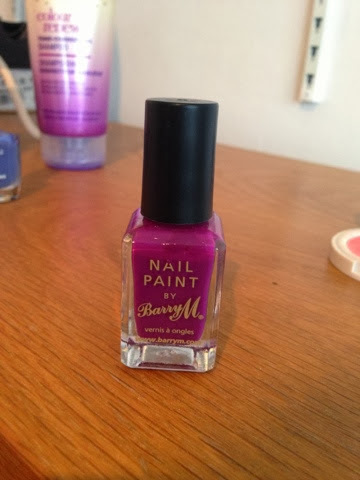 My other favourite nail polish is Barry m in the shade bright purple. I've loved this for a very long time. I think it's probably one of my most worn polishes! As its autumn now I thought I'd get this out because its the season where I start to wear darker shades. Like usual Barry m lasts for about 5/6 days and the colour is beautiful. 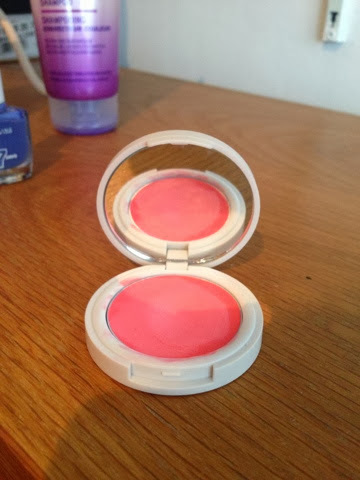 The last product is a cream blush in morning dew by topshop. I've already done a review on this which you can check out here if you like and featured it in a tutorial here. To sum it up, this blush is a lovely day to day natural blush which gives a nice flush of colour to the face. My music favourite of the month has to be Beautiful Life by Union J. As soon as I heard it, I fell in love with it, it's such an inspiring song! The message behind it is really touching and I've honestly had it on repeat ever since it came out! I just bought the Peach Kiss Baby Lips product too, it seemed to kind of dry my lips out and make them feel chapped. I wonder if I just have a bad reaction to something in the product.